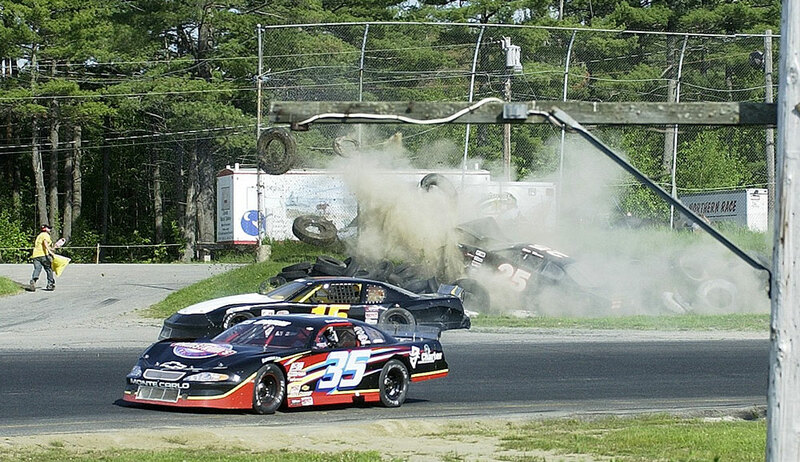 May 28, 2006 - Speedway 95, Hermon, Maine) Three races at three different tracks for the start of the 2006 racing season has challenged the team for the Ramstrom Racing #35. However, the teams hard work (and long drive) was rewarded with a clean and strong run by Derek Ramstrom in Sundays PASS Outlaw Late Model 100 at Speedway 95. Saturday was spent using every practice session to ensure the car and driver were fast as possible around the track. By the end of the day, Crew Chief Jeff Ratoff was confident of the cars chance for a good finish on Sunday. In Sundays second heat race, the Ramstrom Racing #35 finished 4th. Derek finished 9th in the 100 lap feature, but as is often the case, the finish position does not tell the complete story. The #35 car was running in 4th with less than two laps to go, when an ignition failure brought the car to a halt short of the checkered flag. 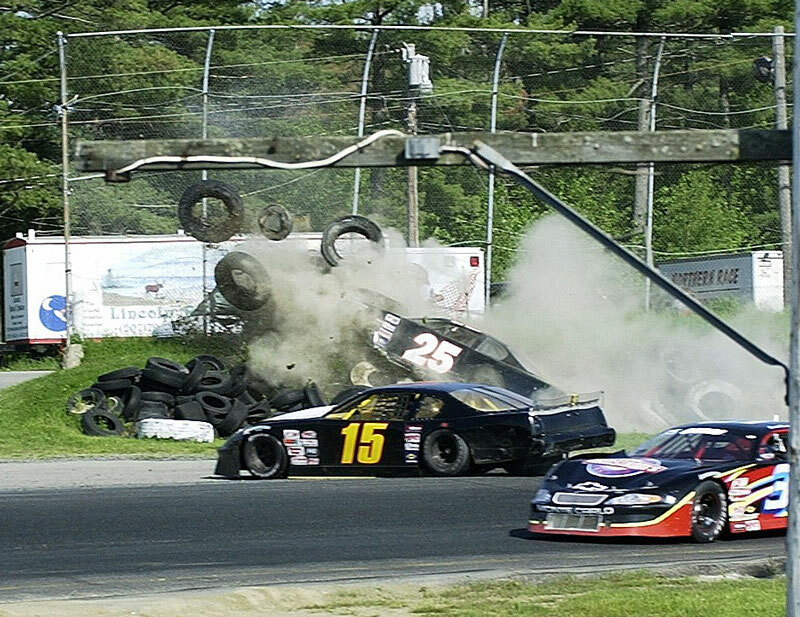 In keeping with the teams hope to build respect within the PASS racing community, Derek did his best to prevent drawing a late race caution as he coasted the track. Due to Sunday afternoons hot weather, the race proved to be a workout. Derek fought the heat and the track, and with the help of his father Ricks spotting, Derek ran the #35 through a cool smooth race bringing the car back to the trailer with only some tire rubbing highlights. Some of the PASS racing family stopped by to congratulate the young driver about his well-run race. Certainly, the teams best moment of the weekend came when Derek was running 4th late in the race right behind (and pushing?) repeat track champion Big John Phippen. 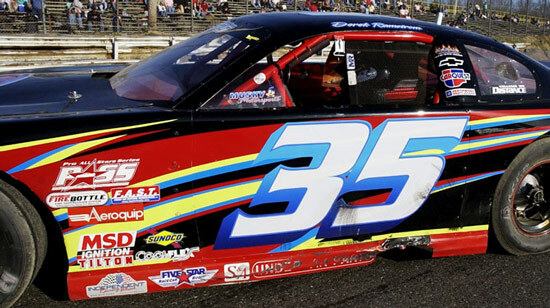 With a top-ten finish for Derek Ramstrom in his first Outlaw Late Model start at Canaan Speedway, it was a successful weekend of racing for the Ramstrom Racing Team #35. However, prior to the great finish by the #35 much work was done by the team and driver. 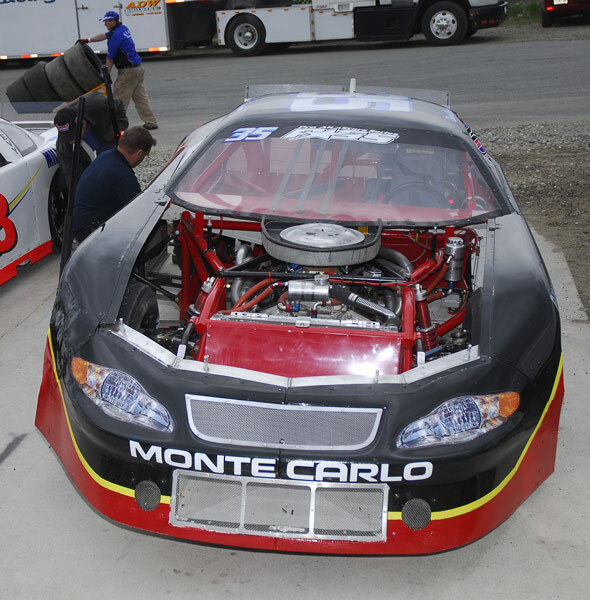 Friday was a day of practice for all the teams at the Canaan asphalt track, and while Derek and the Ramstrom team were familiar with the track, it was Allison Legacy experience. Therefore, Rick Ramstrom saw that Derek was out on the track for every available lap of practice. In a scene right out of the movie Days of Thunder, the team left Derek to drive practice laps, while they relaxed eating ice cream. On Saturday, to allow Crew Chief Jeff Ratoff to fine tune the cars set-up, and to let Derek to get more seat time in his new ride, Rick had the #35 run all of the practice sessions. For the heat race, Rick elected to start Derek at the tail. The car handled well on the smooth speedway surface. As all cars in the heat would qualify for the feature, staying out of trouble was the spotters order for the 10-lap race. 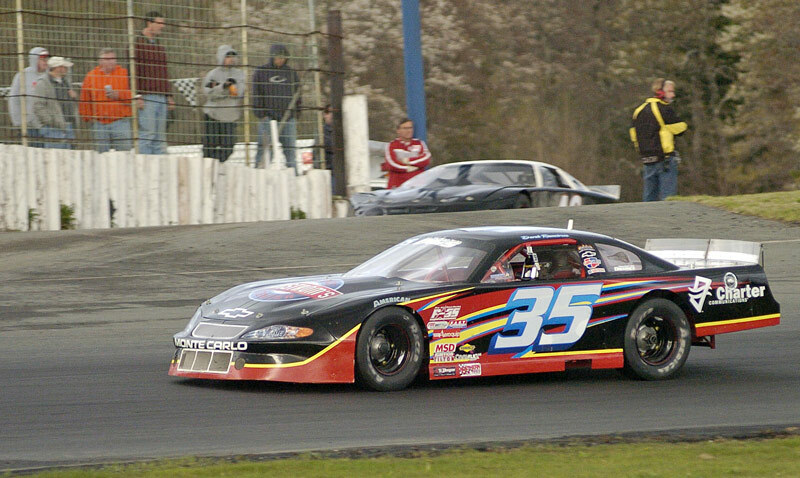 The Ramstrom Racing #35 started 13th in the 40-lap feature. Derek raced the car on the inside, on the outside, and moved his car up to 6th place, before dropping back two spots in the laps leading to the checkered flag. Also, toward the end of the race Derek rode Canaans difficult outside line for several laps against track veteran Chris Curtis in the #26, who held the desired inside groove. 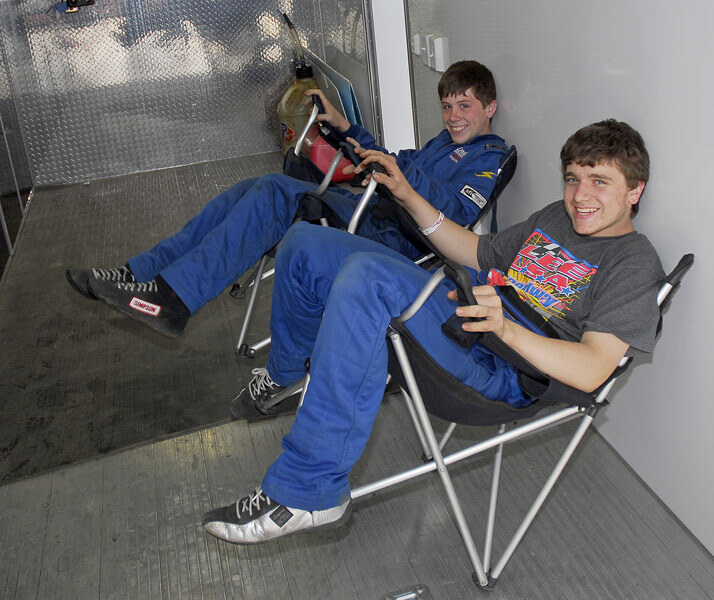 The team returned from New Hampshire with an eight place finish. Sporting a doughnut and some slight body damage, the #35 car was rolled into the garage. Momentum for a top-five finish is there. 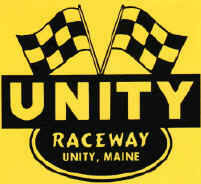 The first weekend of racing for the Ramstrom Racing Team at Maines Unity Speedway went well. By the end of Saturdays practice the cars set-up was on, and Derek was smooth and fast around the track. Earlier in the day Derek was introduced to the owner of Unity Raceway Ralph Nason. 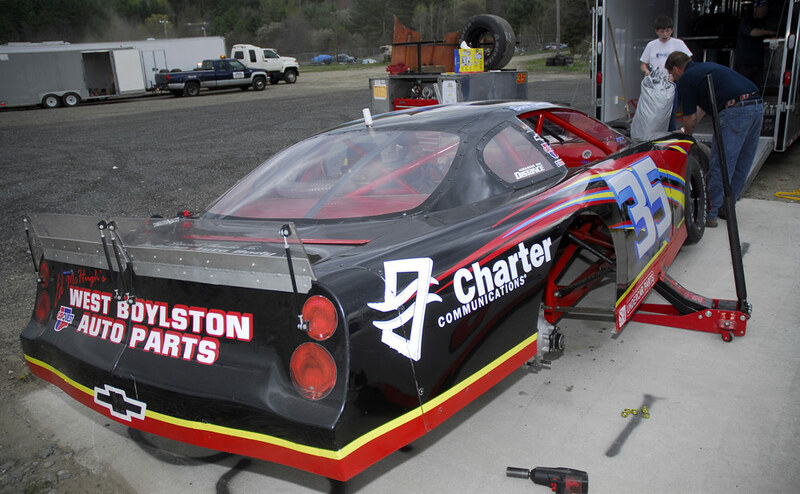 During the 1970's, Mr. Nason drove a modified for Dereks grandfather Bob Ramstrom. The track owner was quick to help Derek with some tips about the track. After practice the team headed to Oxford Plains Speedway to take in the PASS show. On Sunday, with perfect weather, the final practice session for the #35 was with new tires. For the heat race Rick Ramstrom, elected to start Derek at the tail. In the 12 lap heat, Derek moved up a couple of positions. For the PASS Outlaw 106 feature the Ramstrom Racing # 35 started in the 15th position in a field of 19. At about the halfway point in the race Derek had advanced to 8th. 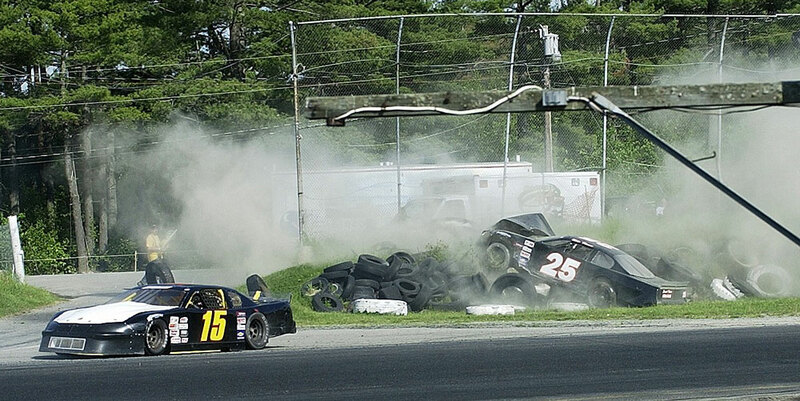 Unfortunately, a few laps later a right front tire started going down. Then, luckily, an unrelated yellow flag came out. During the caution, team members Jeff Ratoff and Chris Hallback quickly bolted a new tire in place. However, despite their efforts, two laps were lost in the pits. The rest of the race was trouble free, with Derek racing with the leaders at the end. Derek finished 11th, and a top ten finish is clearly in sight.